Rev. 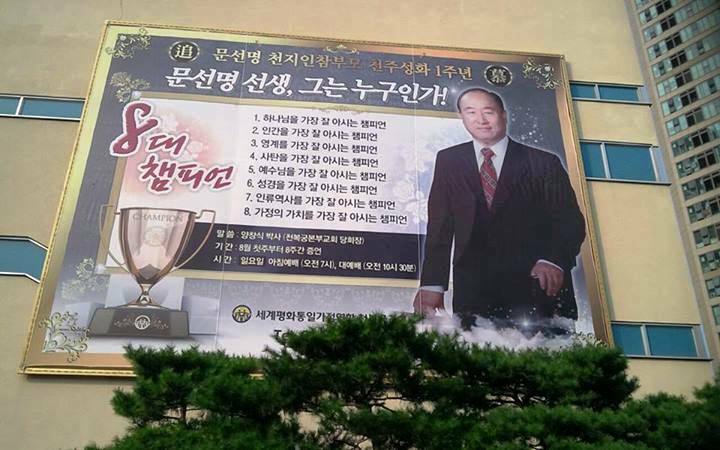 Sun Myung Moon, who is he? 1. World Champion in knowing God. 2. World Champion in knowing humanity. 3. World Champion in knowing the Spiritual World. 4. World Champion in knowing Satan. 6. World Champion in knowing the Bible. 7. World Champion in knowing the History of Man. 8. World Champion in knowing the Family Values.